I recently wanted to add some quick and fun comic strip chat bubbles and captions to a photo of mine, so I went looking for some apps. 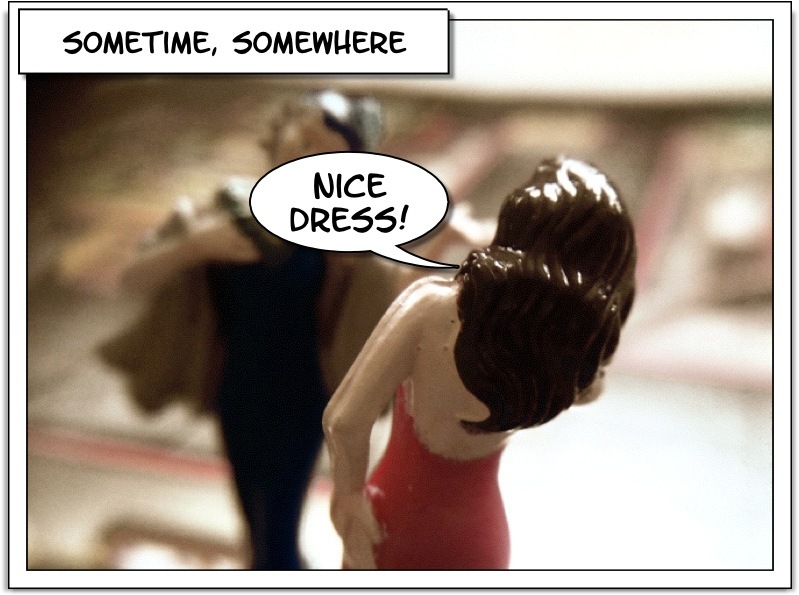 Here is a quick and brief review of the two apps, Strip Designer and Comic Twist, that I tried. Most features should be self explanatory. However, the “save strips for later editing” means that you cannot start editing a strip in CT, then start editing another and afterwards go back to editing the first strip. Comic Twist is simple and gives nice results without any customization. Strip Designer almost requires customization. CT has better bubble auto-sizing while SD requires manual styling to get a nice bubble. The CT UI feels more like an iPhone app interface where as SD’s UI is uglier. Also, SD does not display the final version of the strip, and has to render it for anti-aliasing for the bubbles to show. And here are similar screenshots from Strip Designer, showing of Landscape mode. Here is a single image that I added a caption and a speech bubble to. The image was a landscape one and since CT does not do landscape, the CT image is the portrait one. The SD image took several minutes to make and was not very pleasant. The CT image took less than a minute to make and the experience was fluid and I felt empowered by the app. For example, CT does all the bubble sizing and typography. In SD I have to size the bubble and change the typography for each bubble/caption. Not very much fun. Comic Twist is a quick and fluid solution – it just works. Strip Designer gives you much more freedom, but the default configuration is really ugly. I will probably use both apps. I would have liked CT to be more feature complete, as I really like the feel of it. Strip Designer, though the user experience is worse, offers a very nice feature set, what I like the most is the higher resolution, landscape mode and saved strips for later editing. produces an aggregated folder article view. Here is a cool idea for free: Create a printer client for desktop machines connected to a printer that allows friends to print to your printer remotely via some kind of web service authentication. Why? Because it is fun to receive hardcopies of letters. This is completely not environmentally friendly, but the experience is more analogue and concrete. This way, every online computer with a printer can be used as a personal mailbox. You could even sell printers that look like mailboxes for this purpose!